Coconut oil is rich in fatty acids. It is considered as the best cure for wounds. Consuming coconut oil can make you gain weight. Rich in saturated fatty acids and other nutrients, coconut oil is considered one of the best remedy for ailments or is it just a myth? Unrefined and virgin type coconut oil is said to be a perfect substitute for cooking oil, it has the power to help you fight against severe diseases like Alzheimer’s and diabetes, it is said to heal burns and you will always find people that use it in their bathing water and so on but does it really cure everything? Coconut is a very common household remedy that can cure almost every ailment but recent studies prove otherwise. Yes, coconut oil is not as good as it is considered. There are times when you should not use coconut oil. Yes, there are ailments and times when you make use of coconut oil as a remedy but you should not. Coconut oil is considered the best alternate to any cooking oil. People consume coconut oil as it is thought to be healthier and is high on calories but this does not mean you cannot use it. You just need to know the right amount of using it. Just take the right amount of coconut oil while keeping the calories in check. 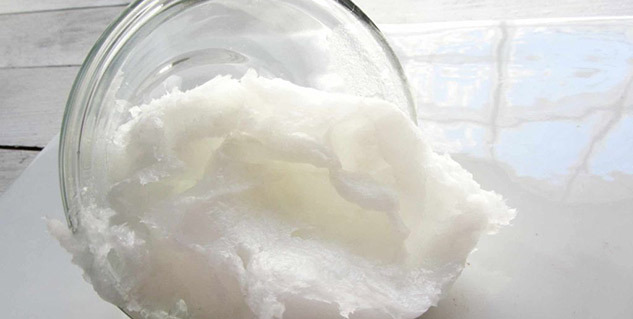 Coconut oil is full of fatty acid and it can actually make you gain weight. Even if you make use of refined coconut oil that does not has that sharp aroma of coconut but has a different flavor if tried in smaller amounts. Oil pulling is one thing where people prefer to go for coconut oil. In case, you are not aware what oil pulling is, it is an Ayurvedic dental method where you swish a tablespoon of coconut oil in your mouth with an empty stomach to have good oral health. It is said to give you dental hygiene and good breath. However, as per some researches, fluoride washes did better job than oil pulling and reduced bacteria better. If you are without a proper mouthwash or toothpaste, you can just rinse your mouth with water and it will be better than using coconut oil. Coconut oil heals wounds. Whether it is a deep cut or a wound, coconut oil has the ability to heal it as it intact the skin but you cannot heal or cure every wound with coconut oil. If the wound is severe, applying coconut oil on the wound can cause inflammation, redness, itching and irritation. People usually apply coconut oil on wounds to heal it but if the wound is already inflamed, coconut oil can aggravate the inflammation. Read more articles in Mind and Body.